I often give talks about working in the data for good space or my research on machine learning. Where possible, I will share slides in addition to the talk titles. PhD technical talk @ Yale, slides. PhD technical talk @ Columbia, slides. Most progress in machine learning has been measured according to gains in test-set accuracy on tasks like image recognition. However, test-set accuracy is poorly correlated with other design objectives such as interpretability, robustness to adversarial attacks or training compact networks that can be used in resource constrained environments. 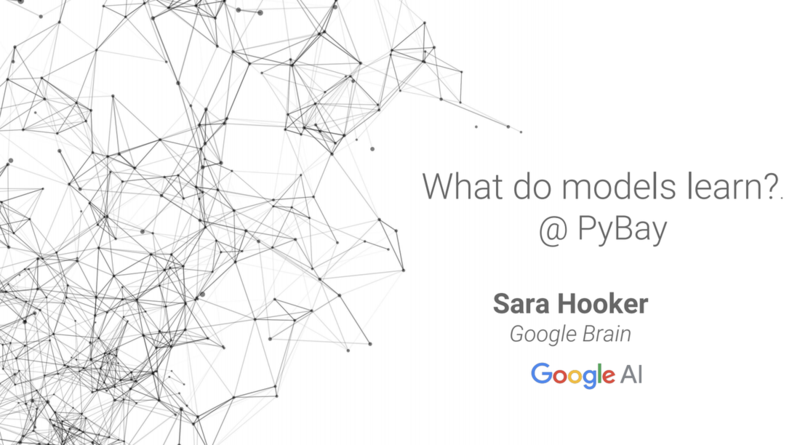 This talk will ask whether it is possible to have it all, and more importantly how do we measure progress when we want to train model functions that fulfill multiple criteria. Slides here. Video from fireside chat at the Deep Learning Summit, 2018. Deep neural networks have made a spectacular leap from research to the applied domain. The use of convolutional neural networks has allowed for large gains in test-set accuracy on image classification tasks. However, there is consensus that test-set accuracy is an inadequate measure of other properties we may care about like adversarial robustness, fairness, model compression or interpretability of a model. In this talk, we will consider some of the challenges associated with measuring progress on training model functions that fulfill multiple desirable characteristics.​ Slides here, video here. ​Estimating the influence of a given feature to a model prediction is challenging. We introduce ROAR, RemOve And Retrain, a benchmark to evaluate the accuracy of interpretability methods that estimate input feature importance in deep neural networks. 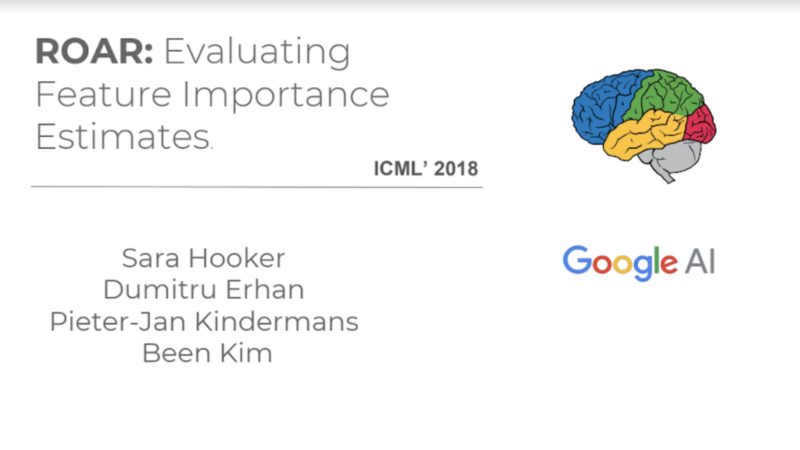 This evaluation produces thought-provoking results -- we find that several estimators are less accurate than a random assignment of feature importance. 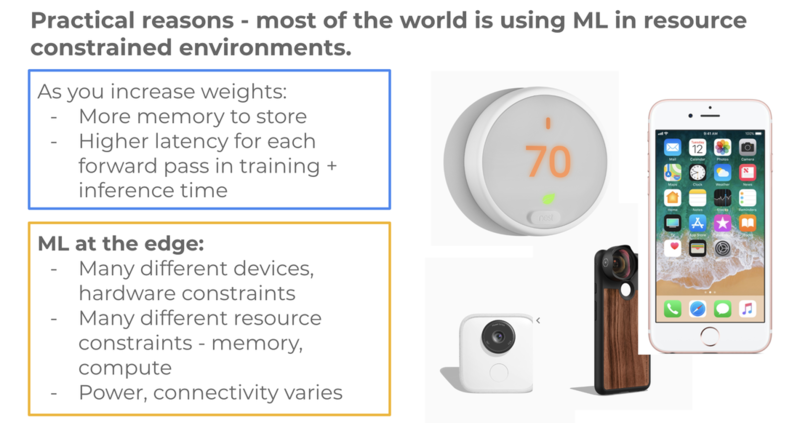 Beyond accuracy: the desire for interpretability and the related challenges. How can we explain how deep neural networks arrive at decisions? Feature representation is complex and to the human eye opaque; instead a set of interpretability tools intuit what the model has learned by looking at what inputs it pays attention to. 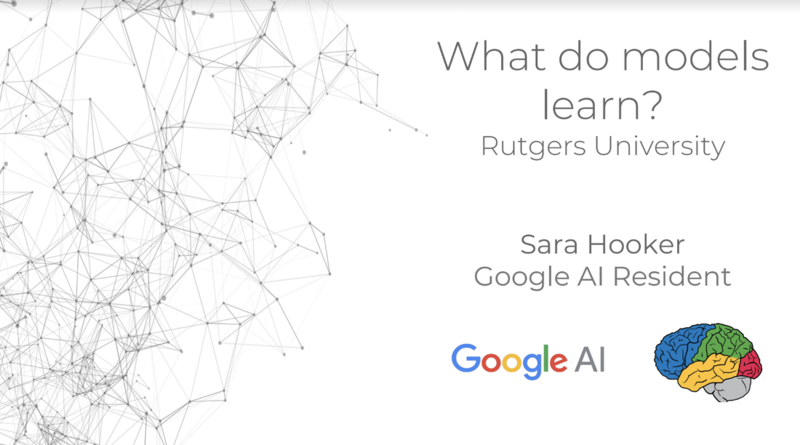 This talk will introduce some of the challenges associated with identifying these salient inputs and discuss desirable properties methods should fulfill in order to build trust between humans and algorithm. Slides here, video here. Tutorial at Data Science Africa Summer Machine Learning School. Technical introduction to the convolutional neural networks. Slides here. ﻿2017 Data for Good Community Celebration -- ﻿ Delta's first ever community celebration with USF Data Institute. 5 lightning talks and a poster board session to highlight Delta’s work in 2018. Slides ﻿here﻿. 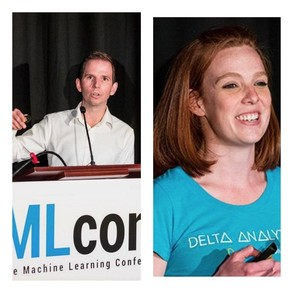 I gave a lightning talk about our efforts to build machine learning capacity around the world. Northwestern Global Engagement Summit 2017 I hosted a workshop with Jonathan Wang on “Storytelling with Data” for nonprofits from around the world. We also both participated as mentors for projects going forward. AMA Google Brain Ask me anything on reddit. 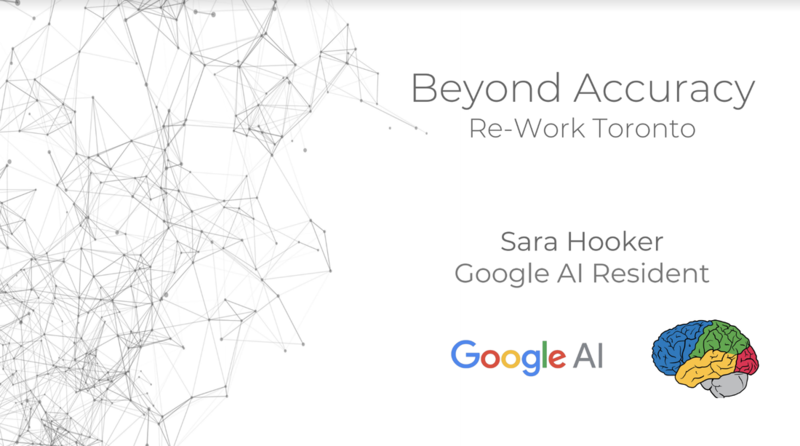 Not a talk, but very fun chance to share experience as a Google AI resident and my research at Brain.